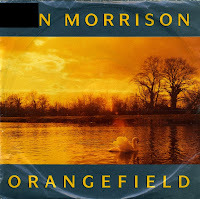 'Orangefield' was the second single drawn from Van Morrison's 1989 album 'Avalon Sunset'. The song is named after the school for boys which Morrison attended during his youth in Belfast, Northern Ireland. The single did not chart, despite the staggering beauty of the music in this track. Perhaps more people felt, like me, that the voice demolished the song a bit. I'd like to start off this Sunday morning with some typical Sunday morning music. This romantic ballad by Van Morrison was originally written as a prayer, and it certainly contains a few religious lines. Popularly it is interpreted as a love song, often played at weddings and the like. 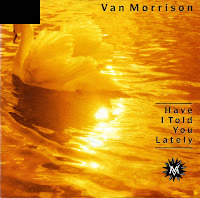 Released in 1989, Van Morrison reached the UK singles chart with this single for the first time in 10 years, although it only made the chart for one week at number 74. In the Netherlands, it was his biggest hit overall, peaking at number 11.